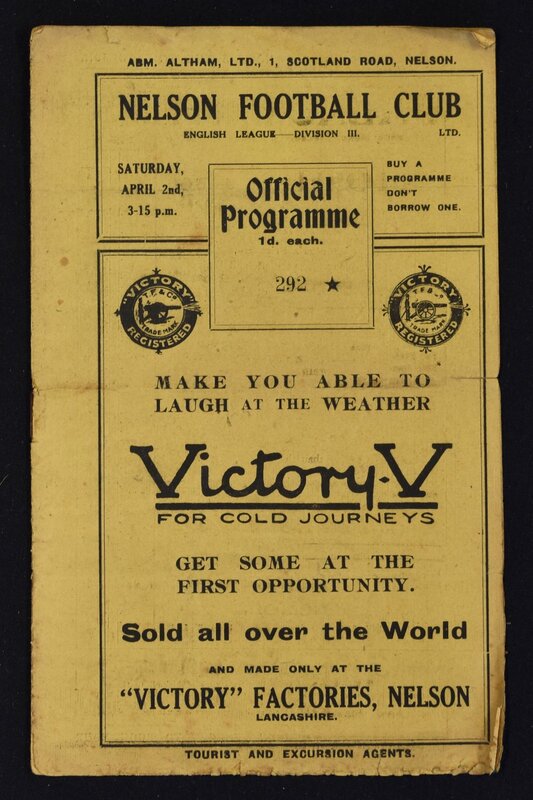 Scarce 1926/27 Nelson v Bootle Celtic football programme dated 2 April 1927, Lancashire Combination match. A view is required to assess condition, probably rated poor with creases and tear but complete. NB: Nelson were original members of the newly formed Division 3 (North) in 1921/22 season. 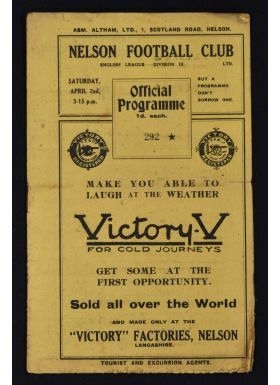 Apart from moderate success (Division champions in 1922/23 but relegated 1923/24) Nelson were voted out of the league at the end of 1930/31 season.